Making your home “your own” is twice as fun (and eco-friendly too!) when it includes a upcycling and some imagination. Who doesn’t love turning everyday items into amazing home and wardrobe accessories? You just need a little vision and some DIY finesse. 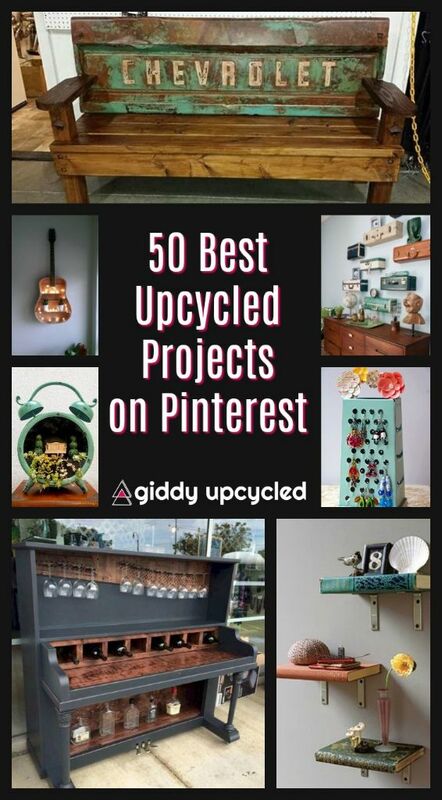 We’ve put together 50+ of the best upcycles on Pinterest, to give you some inspiration for your next project! Turn an Old Ladder into a Clothes Closet...these are awesome Upcuycled & Repurposed ideas! I love this cool DIY succulent centerpiece craft made with cassette tapes. This is such a great way to upcycle old cassettes into a fun container garden planter. Homemade Earring Holder using an Upcycled Cheese Grater! An inexpensive and eco friendly craft idea with a purpose! Buffet Patio Cooler is very stylish and has been converted into this very cool Drinks Cooker. Wow, love the use of ceiling fan blades!! Cool post!